Your Minnesota home is something you should be proud of. First impressions mean a lot. When someone enters into your home, make sure they get the right impression of you! If your home isn’t looking or functioning the way you’d like it to, at Bannochie Builders, Inc., we are here to help! 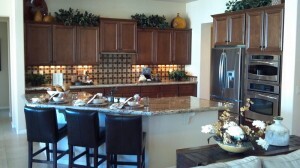 We are a quality remodeling company that are experts in remodeling and new construction services. Now is your opportunity to work with a skilled contractor and turn your ordinary home into an extraordinary masterpiece! Our family owned business has been a Minnesota residential remodeler company for over 20 years. We like to think that we build dreams into reality so that you can have the home you’ve always wanted. We strive to effectively provide each customer with a detailed analysis and estimate followed by quality service to renovate your home. Our customers love us for our attention to detail, efficiency, and affordable rates. No matter what type of renovation you are doing or what your budget may be, we will work with you to satisfy your needs and complete your project in record time. We strive to be the best quality remodeling company in Minnesota on a daily basis. If you are thinking of remodeling your home, the first must-have is a skilled contractor. We are licensed and insured to remodel all different types pf homes in the state of Minnesota and our professionals have immense experience to deliver exactly what you need. Once you’ve picked your quality remodeling company, we will sit down with you, go over the plans, and get to work! We are full-service and can handle anything that is thrown our way! We offer a fair estimate and will do our best to keep this project within your target budget. We will take out all of the necessary permits as needed and we work quickly and efficiently so that you can start enjoying your new space sooner rather than later! Once we are done, we thoroughly clean the site so that you are left with a great, new space. No job is too large or small for this Minnesota residential remodeler! We will remodel anything from a leaky faucet to a house-wide renovation. If you are ready to update your house and make it into your dream home, call Bannochie Builders, Inc. today at (763) 574-0131. This entry was posted	on Friday, May 22nd, 2015 at 5:07 pm	and is filed under Home Remodeling, Interior Home Remodeling. You can follow any responses to this entry through the RSS 2.0 feed. You can leave a response, or trackback from your own site.